I’ll admit it: until I began writing the “Managing the Internet of Things Revolution” guide to Internet of Things strategy for SAP, I was pre-occupied with the IoT’s gee-wiz potential for radical transformation: self-driving cars, medical care in which patients would be full partners with their doctors, products that customers would be able to customize after purchase. 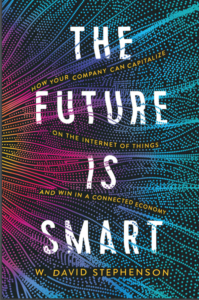 Then I came to realize that this potential for revolution might be encouraging executives to hold off until the IoT was fully-developed, and, in the process, ignoring low-hanging fruit: a wide range of ways that the IoT could dramatically increase the efficiency of current operations, giving them a chance to experiment with limited, less-expensive IoT projects that would pay off rapidly and give them the confidence and understanding necessary to launch more dramatic IoT projects in the near future. This is crucially important for IoT strategies: instead waiting for a radical transformation (which can be scary), view it instead as a continuum, beginning with small, relatively-low cost steps which will feed back into more dramatic steps for the future. Now, there’s a great new study, “Industrial Internet Insights Report for 2015,” from GE and Accenture, that documents many companies are in the early stages of implementing such an incremental approach, with special emphasis on the necessary first step, launching Big Data analytics — and that they are already realizing tangible benefits. It is drawn from a survey of companies in the US, China, India, France, Germany, the UK, and South Africa. The report is important, so I’ll review it at length. Understandably, it was skewed toward the industries where GE applies its flavor of the IoT (the “Industrial Internet”): aviation, health care, transportation, power generation, manufacturing, and mining, but I suspect the findings also apply to other segments of the economy. “The vast majority (of respondents) believe that Big Data analytics has the power to dramatically alter the competitive landscape of industries just within the next year, and are investing accordingly…” (my emphasis). 84% said Big Data analytics “has the power to shift the competitive landscape for my industry” within just the next year, and 93% said they feared new competitors will enter the field to leverage data. Wow: talk about short-term priorities! It’s clear the authors believe the transformation will begin with Big Data initiatives, which, IMHO, companies should be starting anyways to better analyze the growing volume of data from conventional sources. 73% of the companies already are investing more than 20% of their overall tech budget on Big Data analytics — and some spend more than 30%! 80 to 90% said Big Data analytics was either the company’s top priority or at least in the top 3. 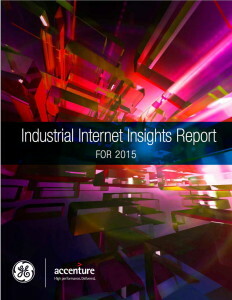 One eye-opening finding was that 53% of respondents said their board of directors was pushing the IoT initiatives. Probably makes sense, in that boards are expected to provide necessary perspective on the company’s long-term health. and, to add urgency, factor in “the context of industries where equipment itself or patient outcomes are at the heart of the business” where the ability to monitor equipment or monitor patient services can have significant economic impact and in some cases literally save lives [nothing like throwing the fear of God into the mix to motivate skeptics!]. For many companies, after implementing Big Data software, the next step toward realizing immediate IoT benefits is by installing sensors to monitor the status of operating assets and be able to implement “predictive maintenance,” which cuts downtime and reduces maintenance costs (the report cites some impressive statistics: ” .. saving up to 12 percent over scheduled repairs, reducing overall maintenance costs up to 30 percent, and eliminating breakdowns up to 70 percent.” What company, no matter what their stance on the IoT, wouldn’t want to enjoy those benefits?). The report cites companies in health care, energy and transportation that are already realizing benefits in this area. Most of the companies surveyed are moving toward centralization of data management to break down the silos. 49% plan to appoint a chief analytics officer to run the operation, and most will hire skilled data analysts or partner with outside experts (insert Accenture here, LOL…). enforce security throughout the supply chain. establish strong corporate buy-in and governance. While the GE/Accenture report dwelt only on large corporations, I suspect that many of the same findings would apply to small-to-medium businesses as well, and that the falling prices of sensors and IoT platforms will mean more smart companies in this category will begin to launch incremental IoT strategies to first optimize their current operations and then make more radical changes. Read it, or be left in the dust! PS: as an added bonus, the report includes a link to the GE “Industrial Internet Evaluator,” a neat tool I hadn’t seen before. It invites readers to “see how others in your field are leveraging Big Data analytics for connecting assets, monitoring, analyzing, predicting and optimizing for business success.” Check it out!